The best way to get to know a community is by scheduling a tour. See the facilities, meet the staff and residents, and get a feel first hand what it's like to live at Chesapeake Cottage Assisted Living Assisted Living. Welcome to Chesapeake Cottage! 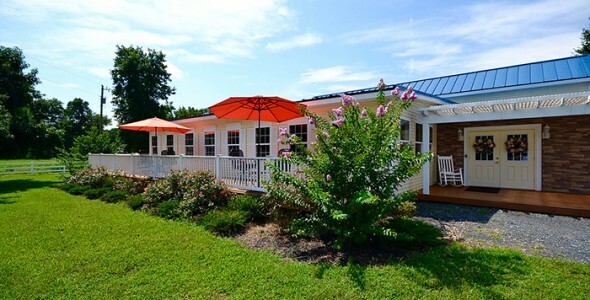 An assisted living facility with a quaint country setting 10 minutes south of Salisbury, MD. Newly remodeled in 2015, we welcome you to join us in the country for a tour and possibly taste some of the culinary creations that our dedicated chefs are creating in the kitchen. Chesapeake Cottage is a senior assisted living community where residents are members of our family. Our exceptional services, amenities, and staff provide residents with a lifestyle that caters to their own specific wants and needs. Experienced caregivers and culinary experts ensure that every day is filled with fun, friends, family, and life. Visit our community today to see why our residents are proud to call Chesapeake Cottage home.